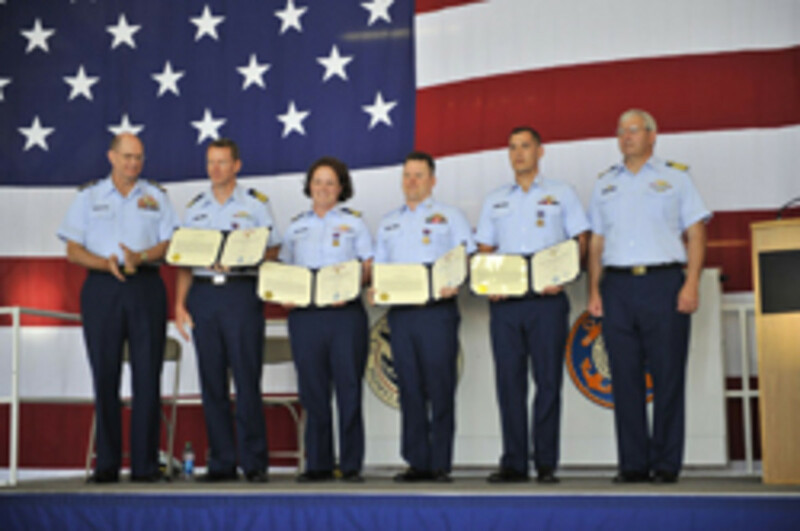 The Coast Guard honored 25 crewmembers Wednesday at Air Station Elizabeth City, N.C., for their efforts during the tall ship Bounty rescue. 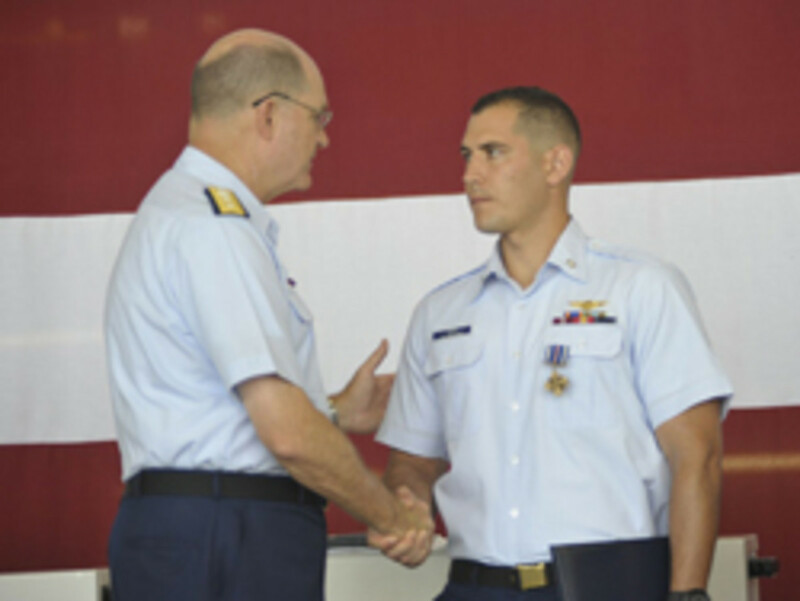 Rear Adm. Steven Ratti presented the Distinguished Flying Cross to Petty Officer 2nd Class Randy Haba and Petty Officer 3rd Class Daniel Todd, rescue swimmers at the air station who rescued 14 of the 16 Bounty crewmembers. The service said the Distinguished Flying Cross is awarded to members who distinguish themselves by heroism or extraordinary achievement while participating in aerial flight. The act must have been in the face of great danger and well above normal expectations.